Liverpool returned to the top of the league standings after nervously beating Fulham 2-1 in a game that many predicted before as a cricket score, but it took a slightly dubious spot kick to settle the scores. 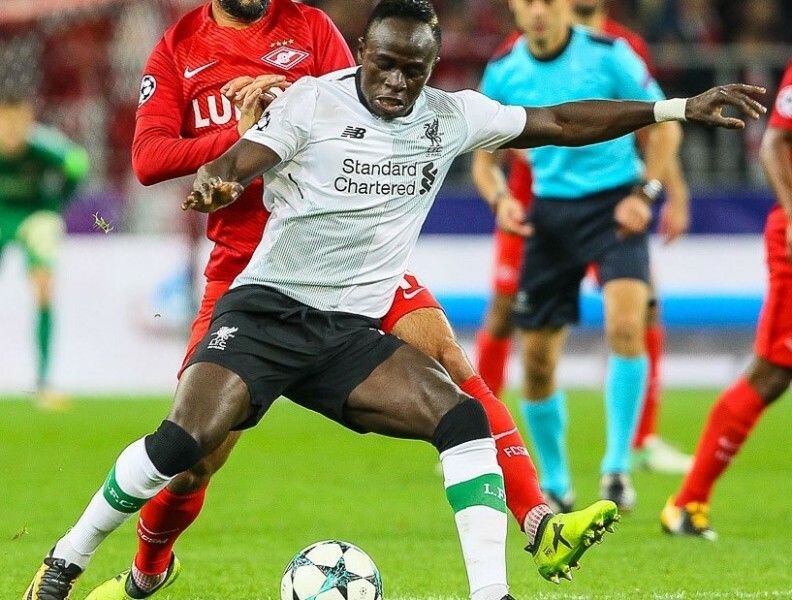 A penalty was probably the correct decision, however Sadio Mane still deserved a yellow card for such obvious theatrical simulation. Still Sadio Mane opened the scoring for The Reds, and surely he is laying claim to be chosen as one of the best players in the Premier League this season. He currently has the same number of goals (17) as Mohamed Salah. Liverpool have gone two points clear of Manchester City, although City do have a game in hand. Given that Mane is just one goal shy of Sergio Aguero he is outstanding odds to finish as top goalscorer and you can back him at 10.00. Everton blew the top 4 apart by beating Chelsea 2-0 at the weekend and it was a result that dented The Blues Champions League hopes and healed manager Marco Silva's wounds. The victory at Goodison Park was much needed given that The Toffeemen had not won in front of their home fans since January 13th when they beat Bournemouth. The fact that it was against the 2017 champions made the victory even sweeter, after goals from Richarlison and Gyfil Sigurdsson, who scored the rebound after his penalty was saved. The pressure that had been mounting on Silva in recent months has dissipated somewhat in the last few weeks as Everton have taken 4 points against Liverpool and Chelsea, both top six teams. Even the 3-2 defeat at Newcastle was harsh given that The Magpies third and winning goal was clearly offside. Everton should also take a lot from the victory given that they had 8 shots on target to Chelsea's 5 and it is clear that the team at least when playing at home have woken up, and fans will be expecting a strong run in for a team who could still finish 7th this season and try to top 50 points. But what of Chelsea? If they fail to reach the Champions League a chunk of revenue will be lost, but perhaps the brand will also not be seen in a strong light if the 2012 tournament winners are 'relegated' to the Europa League once more. Of course, they are in that very competition this season, and if they were to win it that would give them Champions League qualification. Does coach Maurizio Sarri opt to start putting all of his eggs in one basket? Given that Chelsea are just 3 points from the top 4, not quite yet, but the added problem for The Blues is that Manchester United are in between them and Arsenal. There's sure to be plenty of headaches at Stamford Bridge HQ in the coming weeks. Are the wheels coming off at Utd? It was a bad week for Manchester United and the 'untouchable' Ole Gunnar Solskjaer as his all-conquering United side lost their last two games. First in the league against Arsenal which slightly dented their top 4 hopes and then they were knocked out of the FA Cup against Wolves after a 2-1 loss. But still Solskjaer smiled, can any defeat wipe it off his face? It doesn't seem so and his positivity is there for all to see, he sees things only in the long term and at this point it seems almost foolish that United are not offering him a long term contract. As for who will win the FA Cup, it is no surprise that Manchester City are the 1.30 favourites with the biggest outsiders being Brighton who are 17.00, just note that Chris Hughton's side will be playing City in the semi finals. Rounding it up Wolves and Watford who meet in the other semi final are odds of 5.00 and 11.00 respectively, with Wolves looking a dark horse for the trophy. When the Premier League kicks off again after the international break a lot of the excitement may just be focused on the relegation battle. We know that Huddersfield and Fulham are going down, whilst that hasn't been confirmed it is going to take the mother of miracles for either side to survive given that Huddersfield are 16 points from safety and Fulham are 13 with just 7 games left to play. Cardiff's 2-0 win over West Ham earlier this month was hugely significant as it kept Neil Warnock's side in with a shout. In 18th but only 2 points behind Burnley and Southampton, anything can happen, and one would feel that these are the three teams that will be fighting for their Premier League status come May. Looking at the fixtures it does seem that Southampton have the easiest run in, on paper at least, which includes home games against Bournemouth and Huddersfield. Both Cardiff and Burnley have tough games, with Cardiff having to play Chelsea, Manchester City, Liverpool and Burnley, which will be a massive game. But given that Sean Dyche's team also have to play Man City and Chelsea, together with Everton and a final game of the season crunch match against Arsenal, Neil Warnock's side may just have enough to survive. Burnley could well be the team to be relegated and they are a tasty 3.25 to do so. Cardiff are the favourites and odds on at 1.36 and Southampton with their nice run in are massive outsiders at 21.00. May the end of the month roll on.